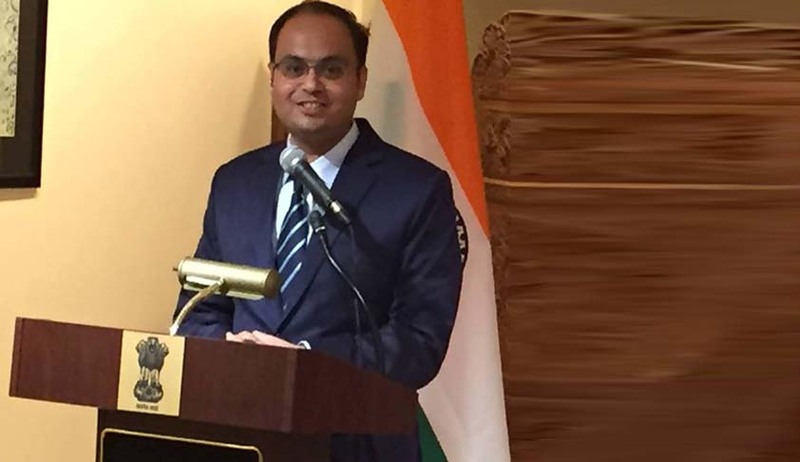 The 33-year-old Indian lawyer, Aniruddha Rajput, has been elected as a member to UN General Assembly’s top body of legal experts, the International Law Commission. Rajput is among 34 individuals elected by UN General Assembly in a voting by way of a secret ballot held on Thursday. The five-year term of the newly elected members will commence from January 2017. The members to the Geneva-based body have been elected from five geographical groupings of African, Asia-Pacific, Eastern European, Latin American and Caribbean and Western European states. Aniruddha Rajput topped the Asia Pacific Group, garnering 160 votes. Amongst the youngest who secured the much contested spot, Rajput holds the distinction of being India’s first time candidate to the Commission, India’s Permanent Representative to the UN Ambassador Syed Akbaruddin said. Adding another first to this accomplishment, he is also the first Indian nominee chosen from outside the close circuit of lawyers of the Ministry of External Affairs. Aniruddha Rajput practiced in the Supreme Court for six years and was also a visiting professor for international Commercial Arbitration and International Trade Law at the Indian Law Institute for two years. An alumnus of London School of Economics, Rajput was appointed by the Law Commission of India to an expert group tasked with analysis of Model Bilateral Investment Treaty 2015 of India, according to his profile submitted to the UN. He has several publications to his name, including books, chapters, articles, conference papers on legal issues. His prime areas of interest being international laws include sources of international law, international arbitration, law of the sea, use of force, UN law & practice and international trade law (WTO law). “We are deeply appreciative of support extended by many, many friends of India to ensure Dr Rajput’s election by a huge margin,” stated Akbaruddin in response to a congratulatory tweet by Singapore’s Ambassador to the United Nations Burhan Gafoor on Rajput’s election. Among others occupying the top slot in a vote tally of the Asia-Pacific group, Japan’s Shinya Murase got the second highest number with 148 votes, Mahmoud Daifallah Hmoud of Jordan and Huikang Huang of China with 146 votes each at the third spot, followed by, Korea’s Ki Gab Park with 136 votes at 128 votes was Ali bin Fetais Al-Marri of Qatar and Hong Thao Nguyen of Viet Nam with 120 votes. The international law commission was established by the UN General Assembly in 1947 to undertake the mandate of UN to ensure promotion and progressive development of International law and its codification.